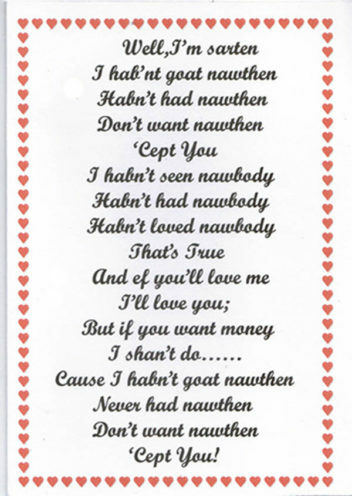 Home / Cornish Cards / General Cards / WELL,I’M SARTEN I HAB’NT GOAT NAWTHEN……. 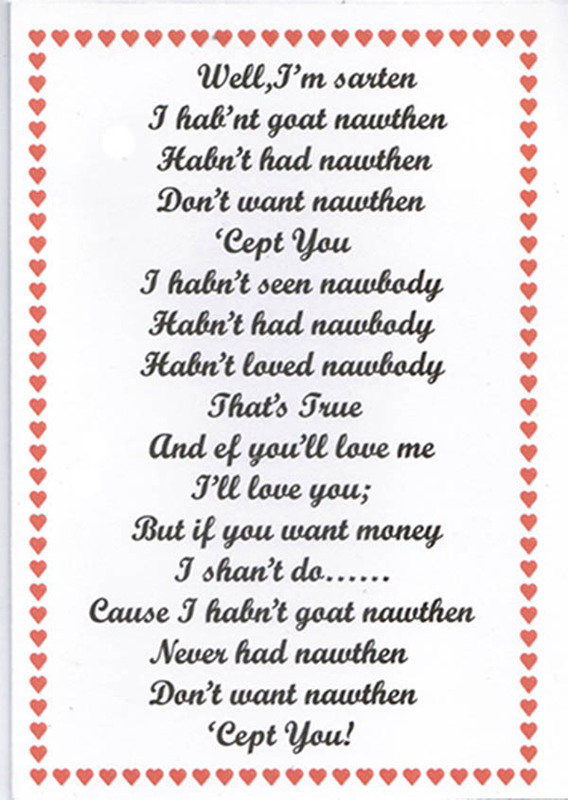 Well,I’m sarten I hab’nt goat nawthen……Don’t want nawthen ‘Cept you! Dialect Love poem by R.J.Noall written in 1925.